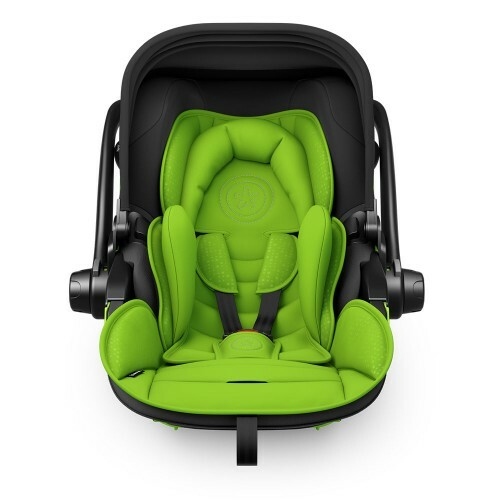 Kiddy is raising the standards for child safety and health in infant carriers. 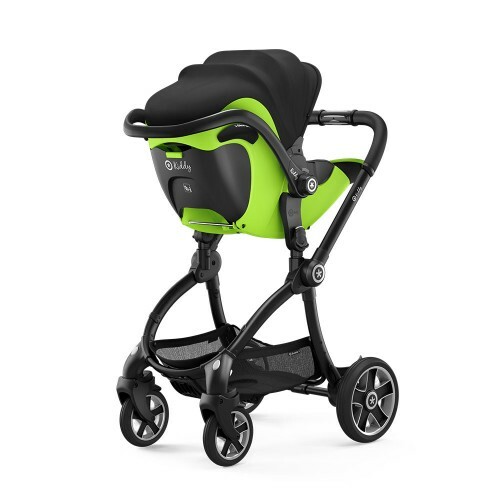 The Evo-luna i-Size 2 from Kiddy can be moved into an ergonomic lie-flat position during travel by car; or when in use on a pushchair chassis; or simply whilst your baby sleeps comfortably next to you. The Kiddy Evo-luna i-Size 2 infant carrier has been approved to meet the new ECE R 129 ('i-Size') safety standards and provides maximum protection for a baby or young toddler up to 15 months of age. The Evo-luna i-Size is packed with state of the art technology to protect a child in the event of an impact, but also to protect their health and development. This offers the child all round protection, with double the peace of mind for you. A lie-flat position is the healthiest way for a baby to travel. Babies should be laid in as flat a position as possible, especially soon after their birth. Lying flat prevents the baby's undeveloped neck from flopping forwards and restricting air flow, when the baby relaxes or falls asleep. This can happen in a conventional upright infant carrier. Keeping the body, neck and head of the baby inline, enables good breathing and healthy blood oxygen saturation levels. The lie-flat position allows a baby to stretch out and unfurl after months in the womb, and ensures that all internal organs can fully expand and grow. Newborn babies have a particularly sensitive spine and the curved position caused by conventional infant carriers can put great strain on their still soft bones and back. 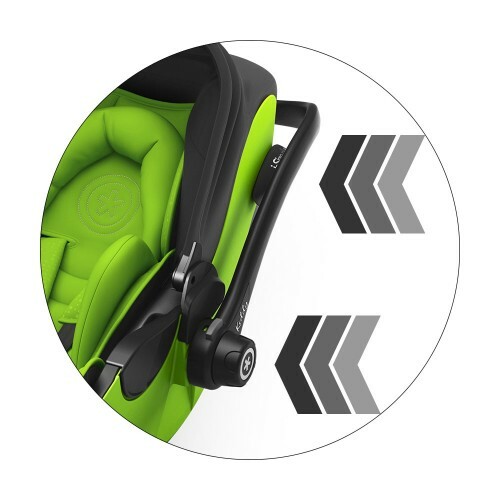 The optimal ergonomic support offered by the Evo-luna i-Size ensures that this car seat gives your baby maximum body support. These benefits of lie-flat for an infant has been confirmed by numerous midwives and pediatricians. The Kiddy Evo-luna i-Size has also been approved by experts from the AGR (Aktion Gesunder Rücken e.V.) who certify and recommend products which promote healthy back and spine development. 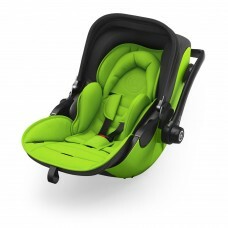 The Kiddy Evo-luna i-Size 2 is also a cosy and protective seat for a newborn baby. The infant support, keeps your little one's head in the correct position for travel. The three point harness has padded shoulder and crotch pads to keep your baby comfortable. The large hood keeps the wind and sun off your child, whilst they relax inside the sturdy shell. 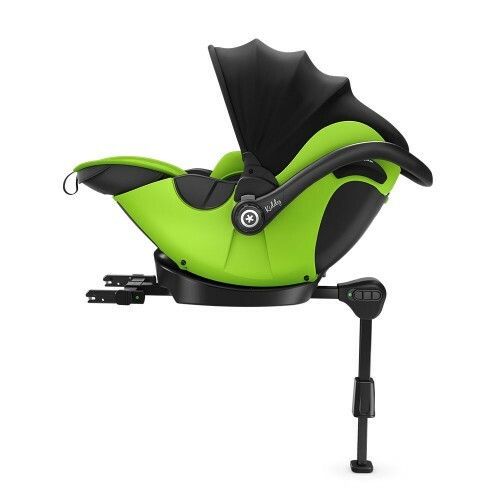 The underlying slatted base allows for good air flow around the baby. This will help regulate their body temperature on hot and cold days. A comfy, healthy, happy baby makes for contented parents! Lie-flat function can be used in the car when used in conjunction with the Kiddy Isofix Base 2 which is included in the box. This reduces the risks associated with conventional upright infant carriers. Extremely flat lying position: ensures safer, healthy, ergonomic sleep! Integrated large adjustable sun canopy: offers the baby shade and creates a pleasant environment for sleep and relaxation. Patented Kiddy Lie Flat (KLF) Technology: maximum body support and optimum air flow around the child. Kind on the child's back: a soft, natural lying position thanks to the shock-absorbing slatted frame. Extra soft padded textile inlay: the baby feels cosy and secure. 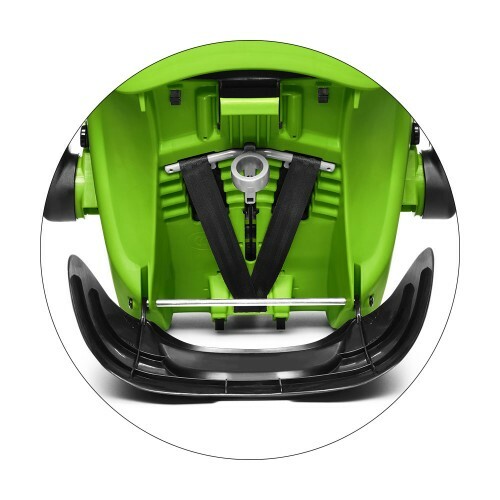 The ISOFIX Base 2 is included in the Evo-luna i-Size 2 box and must be used with the Evo-luna i-Size in the car. Suitable for use on a travel system: use your car seat like a carrycot without worrying! Your baby can be laid flat in the best position possible to maintain an open airway and for healthy growth. Durable cover: easy to remove and washable. 8 different colours: as brilliant as life itself; colourful and unique! The Kiddy Evo-luna i-Size 2 is available in the 2018 colour range of Berry Pink, Summer Blue, Cactus Green, Mystic Black, Mountain Blue, Polar Grey, Chili Red and Spring Green!